Do you have a friend, family member or you knew someone who is expecting? I know exactly the right item to share with you. My New Dahoma - Shuttle diaper bag -oyster grey from www.Okiedog.us is what you should get for her. Not only that the product is made of a high quality materials, they are designed / created to be more fashionable. Mothers who are a Fashionista would indeed adore each item they have online. I am lucky enough to acquire this Diaper Bag and to enjoy using it with my little one's stuff. 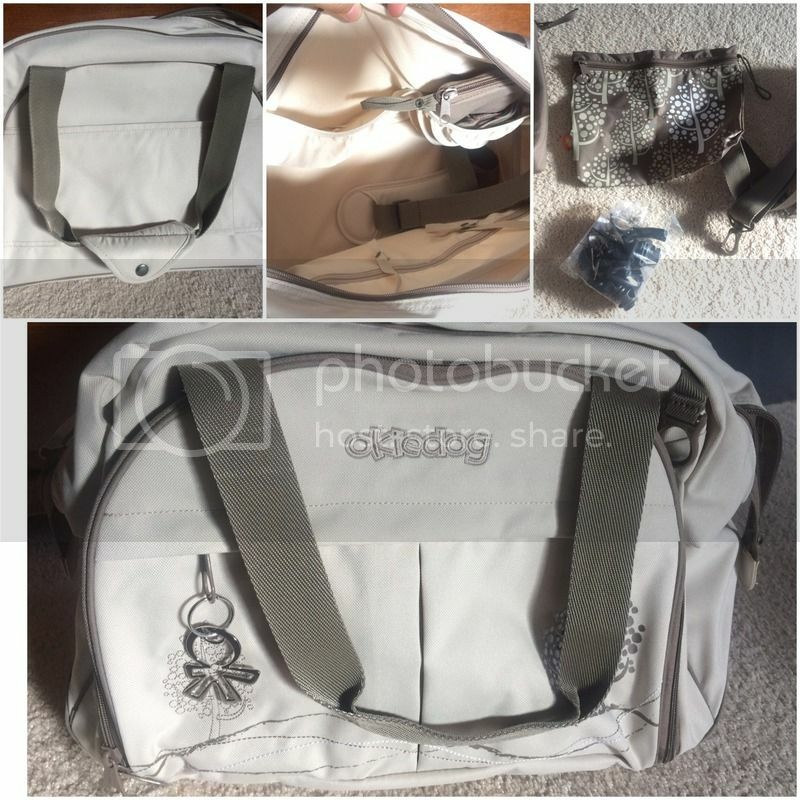 The Shuttle Diaper Bag is what I needed not because of the awesome and unique style it has but also the durability and the space I needed to carry the items I needed for my infant and I. It measurements: 18.9 x 12.6 x 9.84 inches and weights 30.69 oz. You think, nobody likes it because we, mothers, would prefer a much lighter diaper bag, just because we need the extra pounds to carry our baby. Yet knowing that it's worth to bring it with me, due to the capacity it can carry I would take the risk. This diaper bag is great especially when you are traveling. The product arrived in the mail today, fast and in great condition. The item is covered with the company plastic to protect the bag. I don't see any signs of damage in the merchandise that I was able to examine further and even use it right away. I admire its simple and very fashionable design. The materials made is indeed high-quality. The color of the bag is indeed what's in the seller's description. Very drudgery inside, love the pockets inside and the secure zipped pocket outside. Very durable and the handle is sturdy. I love the sling handle and the padding that comes with it for multi-purpose. I would recommend this product to mothers or whose looking for a better and a worthier gift to someone expectant or not. For the price of $ 84.95, I would say it's worth it. I would definitely purchase another different bag or merchandise from this company. I am a very happy and satisfied customer, that's why I would counsel you to even take a look at their website. This is very timely for me. I'll be using my old baby bag, though. Thanks for the head's up on the Okiedog brand! Diaper bags here in the US are so fashionable. That's a really nice diaper bag! And when the kids don't use diapers anymore, you can definitely use this for different stuff! Awesome!